In general, users expect better performance through iPhones after an update. However, in certain cases, some iPhone users experience new iPhone update problems instead of smooth functionality. So, as an iPhone user, you should know how to fix new iPhone update problems. If you are a novice iPhone user and need to fix new iPhone update problems without taking any risk, please read this article on. We reveal the most reliable and convenient way to fix the issues pertaining to new iPhone update issue. Here are some of the possible reasons why you cannot update new iPhone to latest iOS version. In addition to that, there can be several other issues that prevent you from update your iPhone into the latest version. If you continue to experience a trouble in updating your iPhone (even after fixing the issues mentioned above), here’s what you should do. You can use a powerful tool called iMyFone D-Back to rectify the new iPhone update problems with ease. In a nutshell, this specific tool is a must-have for any iPhone user. 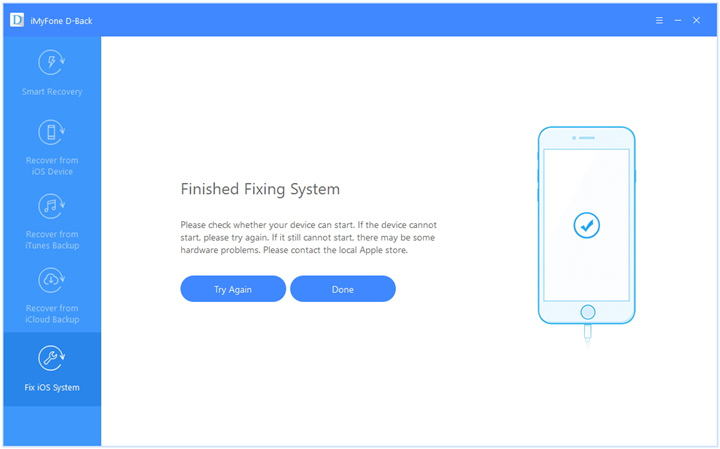 Apart from fixing the issues related to updating, iMyFone D-Back can easily fix a large number of other issues related to iOS devices. Installing and using iMyFone D-Back is simply a walk in the park. So, even a novice iPhone user will be able to rectify a variety of iOS-related issues using this software. iMyFone D-Back comes with a specific feature to fix iOS related issues conveniently. 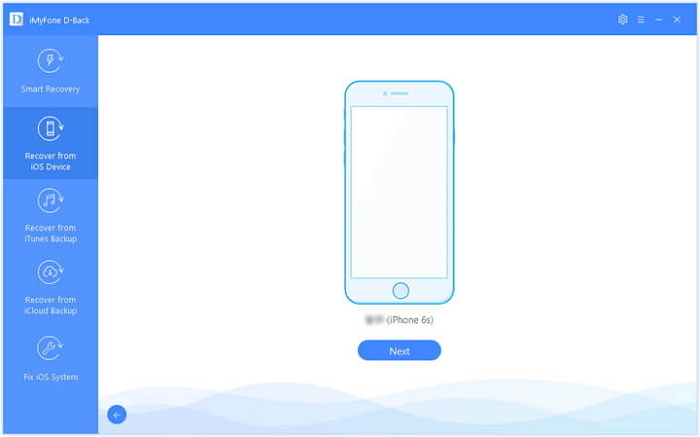 If you use this step, you will be able to get back your iPhone into its smooth function without much effort. The beauty of this feature is that it doesn’t cause any data loss on your device with the standard mode. Do not hesitate to download the free trial version. 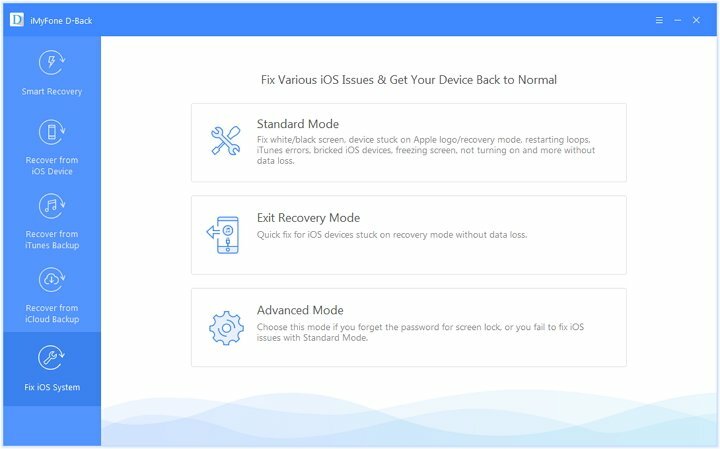 In this section of our article, let’s take a look at on how to fix new iPhone update problem using standard mode. Step 1.To begin with, you should connect your faulty iPhone with iMyFone D-Back. 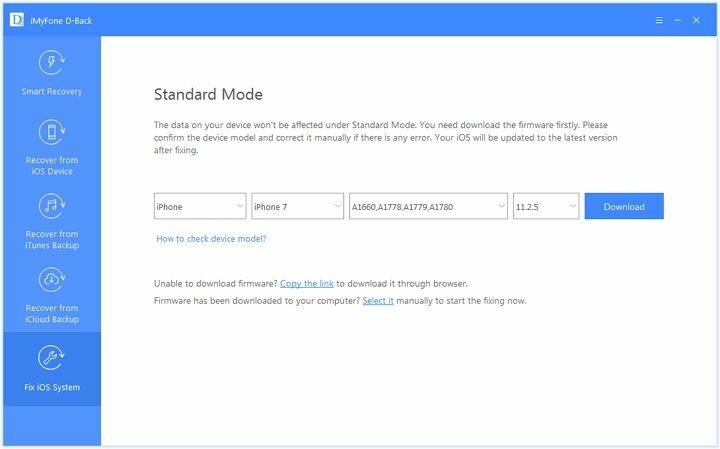 After connecting the device, you will be able to select “Standard Mode”. Step 2.The program will then let you enter the DFU Mode or Recovery Mode of the device. Step 3.After entering Recovery or DFU mode, your device will be ready to download the new firmware. iMyFone D-Back will find the correct firmware for your device. All you have to do is to press the button labeled “Download” to proceed. Step 4.At the completion of this process, you can fix the issues by pressing “Start to Fix” button. The program will verify the program automatically and start the potential issues after pressing this button. Then, you should check if you can get the device started normally. If you cannot fix the potential issues through the above-mentioned method, you will have to contact Apple store and get some help. But, don’t rely on random repairers who will use unorthodox ways; it will void the warranty of your iPhone. Many individuals experience data losses after fixing various issues related to their iOS devices. If you have lost your data due to new iPhone update problems, you shouldn’t feel helpless. That is because, you can use a powerful tool like iMyFone D-Back to get your lost data back. 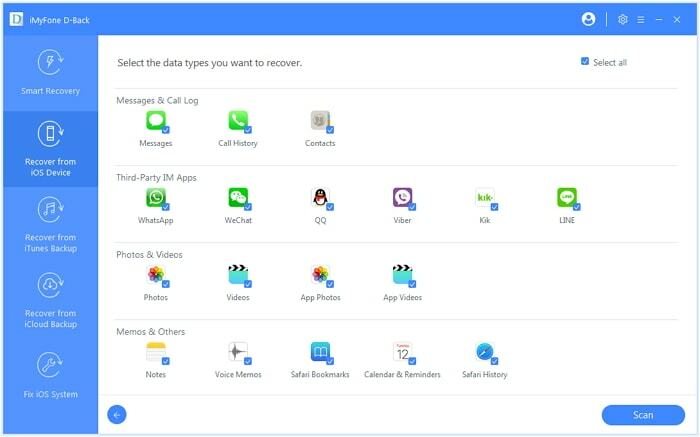 Here are the steps you should follow to recover data from iPhone using this software. 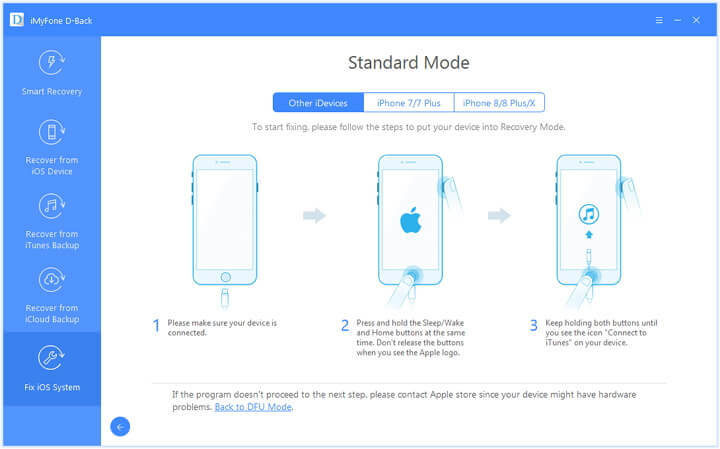 Step 1.Open iMyFone D-Back on your computer and start with “Recover from iOS Device” option. Press “Start” afterwards. Step 2.Connect the iOS device to the same computer and click “Next” after your device is detected. Step 3.Choose the files you need to recover and press “Scan” button. Step 4.At the completion of the scan, you will be able to preview the data before revering them. That is to assure that you recover the exact file you need. When the preview appears, you can select the files that are to be recovered and press “Recover” to proceed. Define a location to store the files you have recovered and wait for a couple of minutes. In this section of the article, we provide you some valuable information about creating regular backups of your data. Creating regular backups reduces the risk of losing the data in the event of an unexpected issue. 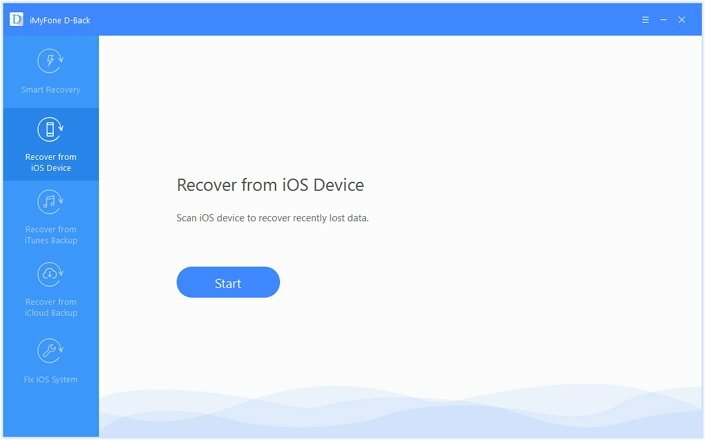 In the event of a physical damage or iOS related issue to your device, you can retrieve your data from the most recent backup. Creating backups can be done in multiple ways. For instance, you can use default options like iTunes or iCloud offered by Apple. 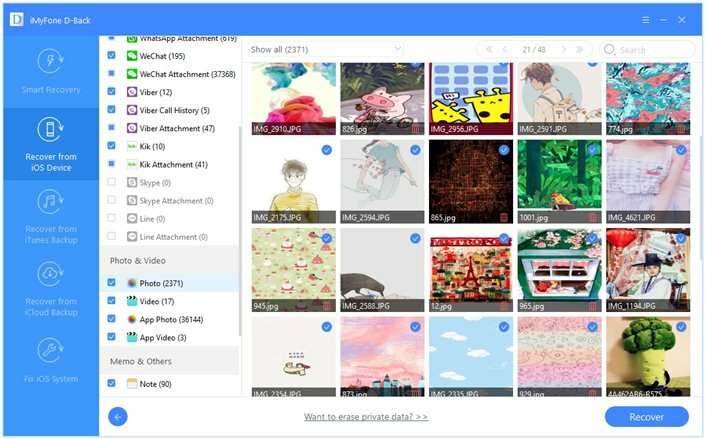 If you look for a more convenient and efficient method, you can use iMyFone D-Back to create backups by exporting data to computer. Now you know how to fix new iPhone update problems using the most efficient utility tool developed for iMyFone D-Back. We really appreciate if you can let us know (in the form of a comment) your overall experience with this tool. iPhone Won’t Charge or Turn On After Update to iOS 12, How to Fix? iOS 12 iPhone Update Screen Not Working, How to Fix?